Kids love ranch dressing. That might be the under statement of the century because I've met kids who like to have a few vegetables with their ranch dressing. 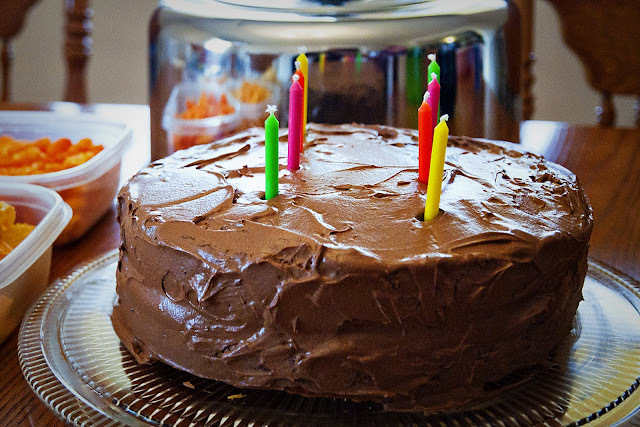 Recently I was tasked with throwing a child's birthday party and, being the veg*n health conscious type, vegetables had to be included amongst the orange colored munchies and decadent vanilla cake with chocolate frosting. After watching numerous Youtube videos on baking and frosting cakes, and consulting The Joy of Vegan Baking, I felt slightly more confident in my cake baking abilities and made this cake at the request of my favorite 8yr old. It had been about 10yrs since I last baked a cake, so I'm unnaturally proud of the unimpressive looking cake pictured below. 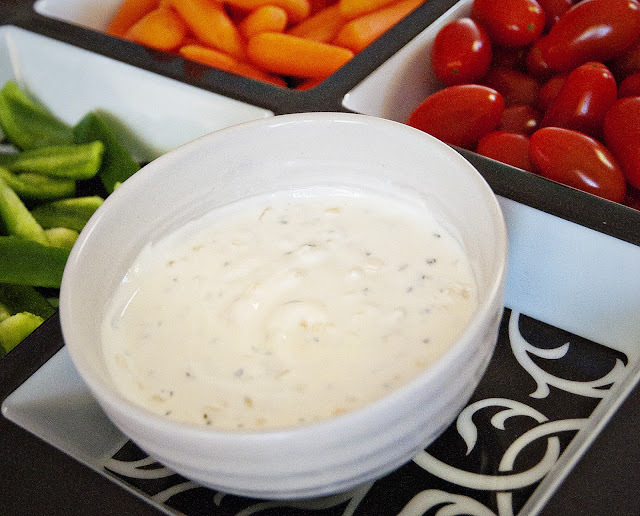 Then, I moved on to making Yummy Yogurt Ranch Dip featuring fat free Greek yogurt and natural ingredients. My dear sweet friend Hanna asked me to post this recipe about a year ago but then 2012 happened and the recipe didn't get posted. After I set the table for the party I had an "aha" moment: I could snap a picture of the yogurt dip and post the recipe! Much to my surprise, the veggies with yogurt ranch disappeared faster than the orange munchies. Add spices to Greek yogurt and mix well. Store in an airtight container in the fridge over night, or for at least 1hr if you're making it on the spot, so flavors can mingle. Serve with bite size veggies for dipping (I recommend grape tomatoes), spread on crackers, or use as a dipping sauce for falafels. Mmm! Tasty. And so much more nutritious than your average store-bought ranch dressing too.